I am a member of the 2017 New Quilt Bloggers and found a new pattern to do. First, it fits into my goals of using up fabric that I already have. In fact, I had been gathering my batiks to do a quilt with half square triangles and ran into this. Funny thing, I was pulling a blue/purple combo from my pile and had a fall pile leftover. Second, I needed a new project that excited me. I have a lot of UFOs I am working on but was looking for something new. Serendipity! 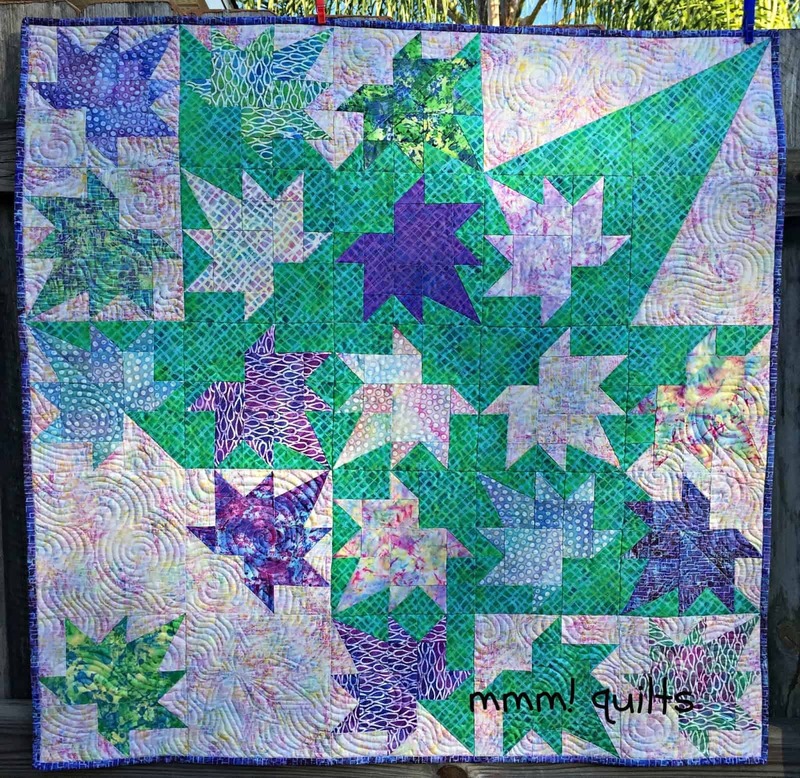 You can find the instructions for this quilt along at mmm! Quilts. There is a button too on the right side of my blog. 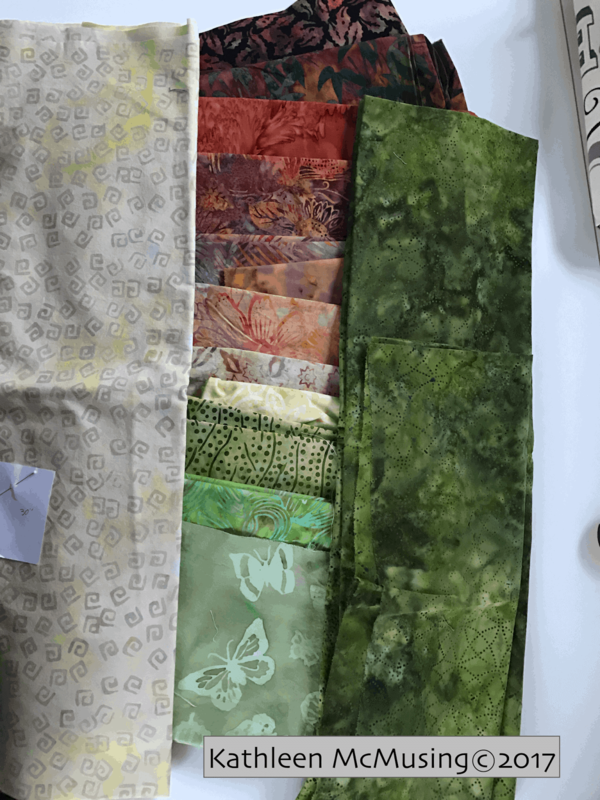 I thought I’d link up to Sew Fresh Quilts and her Let’s Bee Social Group today. Next Post Planning for Spring Fling! Thank you! Not spring but part of my stash busting program! Very nice…especially that background fabric! Thank you, sorry for the delay in getting back. Recuperating from a few days away on a sewing retreat. Kathleen, this is going to be so rich! Glad that you shopped your stash for it too, love that. Need to do more so I can justify buying more fabric, LOL, as if that ever stopped me, ha. Thanks for linking up! Thanks, Sandra! I hope to make up a block or two tomorrow. Just catching up from my weekend away. Beautiful choice of fabrics. I'm doing mine as a Canada 150 patriotic quilt. Can't wait to see all the different ones. Love your idea of a patriotic quilt. love those batiks, the butterfly one is so lovely. This QAL is a great excuse to go out and add some more to the stash. Destashing is my mantra. We have a downsizing move coming up and although there is space, I want to work through some of what I have kept for such a long time.